On Friday, I went to London for an event put on by UNA-UK, the UK’s leading source of independent analysis on the UN and Chatham House, the Royal Institute of International Affairs, an independent policy institute based in London. 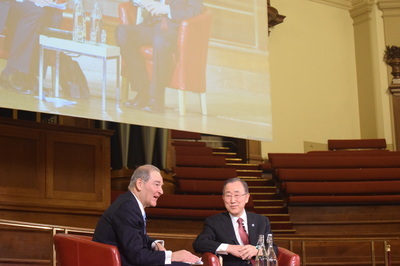 It was a conversation between Sir Jeremy Greenstock (who was the Permanent Representative of the United Kingdom to the United Nations for five years) and Ban Ki-moon, the current Secretary General of the UN. 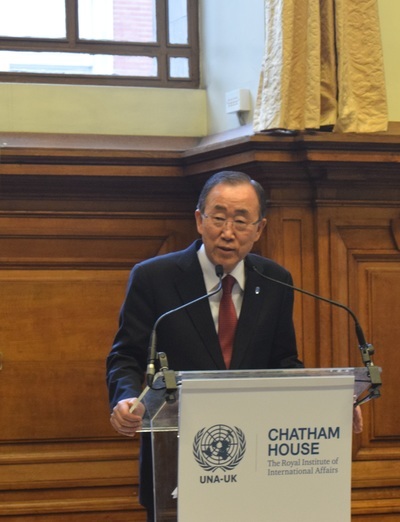 It was held at Central Hall in Westminster, the home of the first United Nations General Assembly in 1946. Safe to say I was very excited. 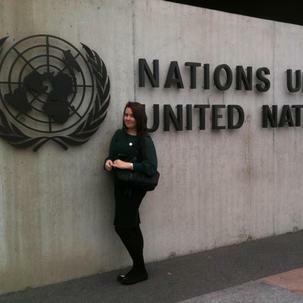 I joined my university United Nations Association when it was formed, I went on work experience to the UN in Geneva in 2012 and I then went on to become President of the UN Youth Plymouth in my final year. After graduation, I was a member of the UNA-UK national Youth Council, and last year I was elected to the Procedure Committee. I’ve been set on a career in the United Nations for a long time, I may get there, I may not. I hope I do… Specifically, I want to work for the International Maritime Organisation. Anyway, I’m off topic. I got the chance to go and see Ban Ki-moon speak, and it turned out that I got to shake his hand as well, which was very exciting. 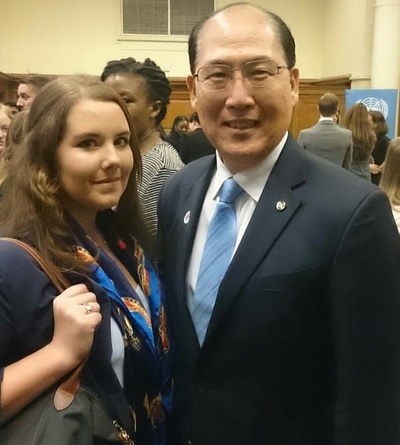 Not only that, I got to meet the Secretary General of the International Maritime Organisation, Mr Kitack Lim. Safe to say Friday was amazing. .. Anyway, I just had to blog about this because I was so excited and couldn’t really contain it. Plus, my friends and family are already fed up of me, I imagine!